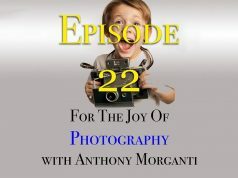 In this episode of the “For the Joy of Photography” podcast, I talk about sites such as Unsplash.com where photographers are giving their images away for free. Because I’m an “older” photographer, you may think I’m against a site like that. Well, my opinion might surprise you. Or you can search for it on you favorite podcast app!